Railpictures.ca - Earl Minnis Photo: CP 6079 and 5687 power train 245 westward at mile 91.79 on the CP’s Windsor Sub, Belle River Ontario February 19, 2012. | Railpictures.ca – Canadian Railway Photography – photographie ferroviaire Canadienne. 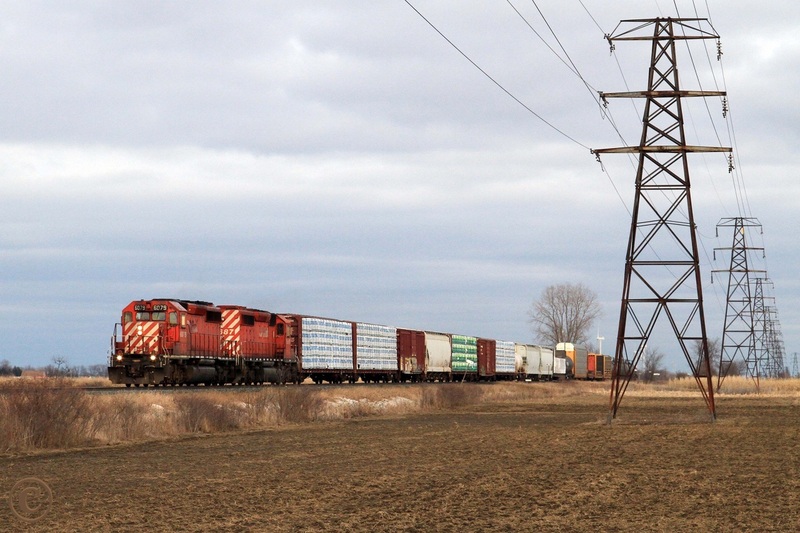 Caption: CP 6079 and 5687 power train 245 westward at mile 91.79 on the CP's Windsor Sub, Belle River Ontario February 19, 2012.